There are 140,000 licensed gun dealers in the US. The goal of the Bureau of Alcohol, Firearms, and Explosives (ATF) is supposed to try and visit them every three to five years – but it is a target they seldom meet. With just 780 AFT inspectors, the agency only visited 42 percent of gun sellers in the previous five years as of 2013. In 2014, only seven percent of gun dealers were inspected, or less than 10,000, according to a Department of Justice Inspector General report on the ATF inspection program. The IG report found that for the AFT to meet its own goal it, would require an additional 200,000 investigator hours, and often inspectors have competing priorities in inspecting explosive licensees. The agency has also suffered because of congressional budget decisions to agency personnel. Under current federal law, the Gun Control Act of 1968, AFT is supposed to regulate the firearm industry and firearm dealers. The act allows inspectors to visit gun sellers once every 12 months to ensure compliance with the act, which established the federal licensing system for firearms dealers and can conduct criminal investigations of federal firearms licensee violations. The law mandates certain requirements gun dealers must comply with, such as serial numbers on guns, firearms sold for “sporting purposes,” and the prohibition of direct mail purchases. In 1993, the act was enhanced to include background checks where licensed sellers would inspect criminal history backgrounds for gun purchases, and would not sell firearms to anyone under the age of 18. Gun dealers have become the focus of several congressional bills introduced this week by lawmakers from New York and Wisconsin, designed to stop the illegal sale of firearms. The bill would also require inventory lists from gun stores that have illegally transferred guns or have served as the source of 10 or more weapons used in crimes in the past two years. Federal law prohibits the ATF from releasing records of what weapons gun shops have in their inventory. The nonprofit group The Trace, which advocates for gun control, said most of the crime guns recovered in the US can be traced back to a small percentage of licensed retailers. Another bill was also introduced this week by New York lawmakers aiming to stop the so-called Iron Pipeline, which references guns brought to New York from states with weak gun laws via Interstate-95. The bill introduced by New York Reps. Nydia Velasquez (D) and co-sponsored by Hakeem Jefferies (D), would tax guns, and clamp down on missing and stolen weapons. The Reducing Gun Violence in Our Neighborhood Act of 2015 would require gun owners to report stolen or lost firearms within 48 hours under threat of a $10,000 fine. It also establishes a federal registry to keep track of the weapons, for use by law enforcement to solve crimes. A $100 tax would be added to gun sales, which would be used for Department of Justice programs to reduce crimes and for mental health counseling. The legislation would also incorporate technology into the gun manufacturing process to identify a firearm through a mobile or fixed reading device. According to New York City officials, 90 percent of guns found at local crime scenes come from out of state. 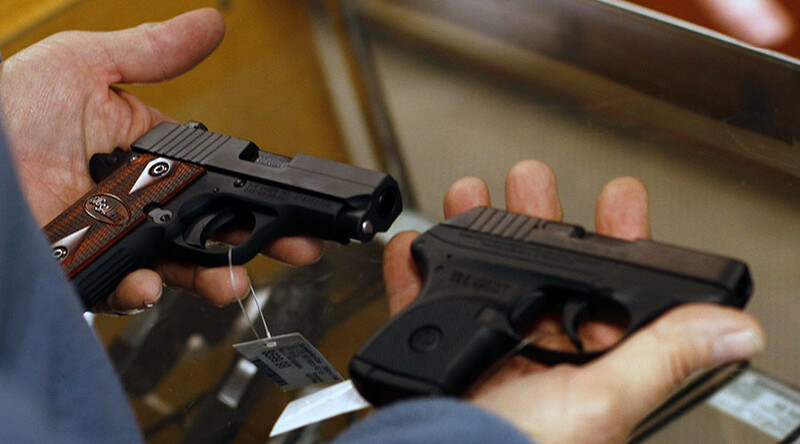 While New York state has strong gun laws, illegal guns flow from others with weak gun laws. The responsibility of gun stores has come under the microscope recently. A civil lawsuit filed by two police officers against a store in Milwaukee relates to an incident in 2009, when a minor paid a 21-year-old acquaintance $40 to be the official buyer of a weapon. The two police officers were shot by the gun: One lost an eye and was left with brain damage, while the other was seriously wounded. The trial is being watched closely for legal implications for gun sellers.